To foreigners, Australia is well known for its beautiful beaches. People living there might not always feel that way—but as we know, it sometimes takes a slight change of perspective to see things completely differently. This is reflected in the basic idea to Kate Ballis’ photo series Beaches Above. 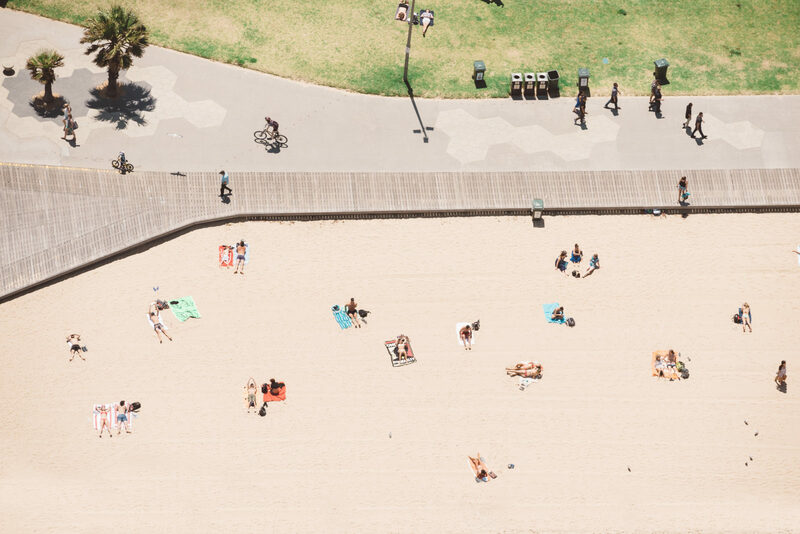 By shooting the world from a bird’s eye view, she wanted to show that Australians don’t have to travel the world to find the perfect beach. Thanks, Kate, for having us dream a little bit. Find more of Kate’s work on her website or follow her on Instagram. We also featured her photo series of Californian resort town of FvF. For more great photos from around the world, check out our travel section.